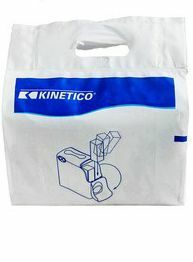 Kinetico Block Salt comes in a pack which includes two 4kg blocks. Kinetico salt is ideal for Kinetico block salt water softerners like the 2020C series but will work in all block salt softeners consistently offering quality and purity. With each bag weighing just 8kg it is easy to handle and store. Changing the salt in your softener couldn’t be easier!